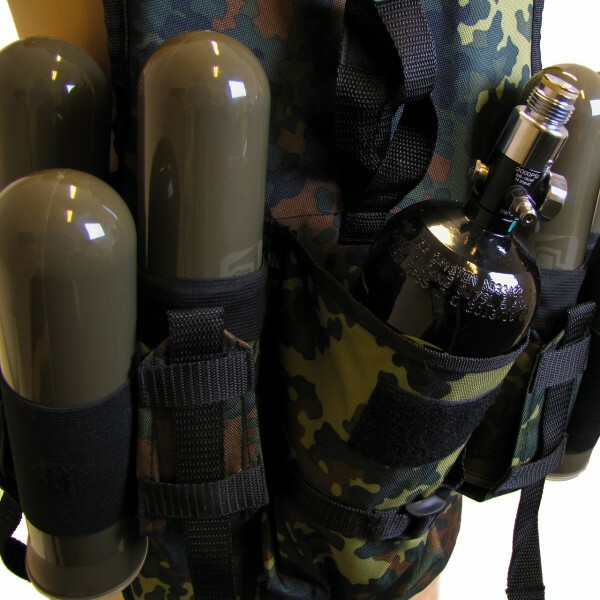 This vest is specially designed for the paintball games! It has special pockets for extra pods (refill). It is not an Outdoor Army Vest! Read for yourself. 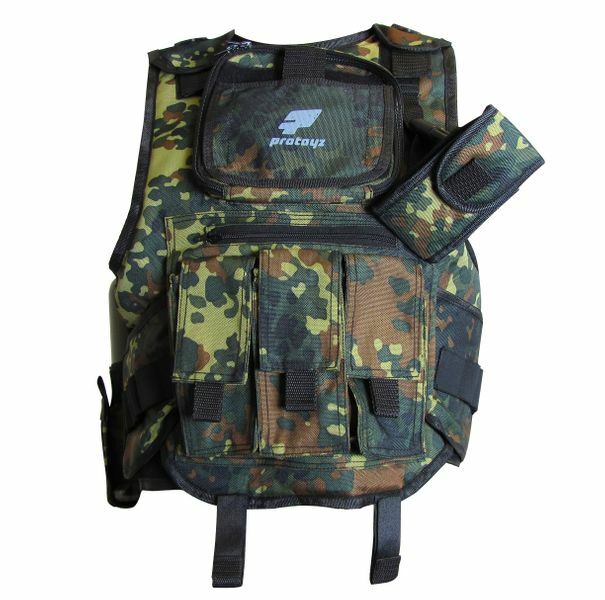 Durable and functional paintball vest which is modelled on the Tactical Vest of some special operating teams. 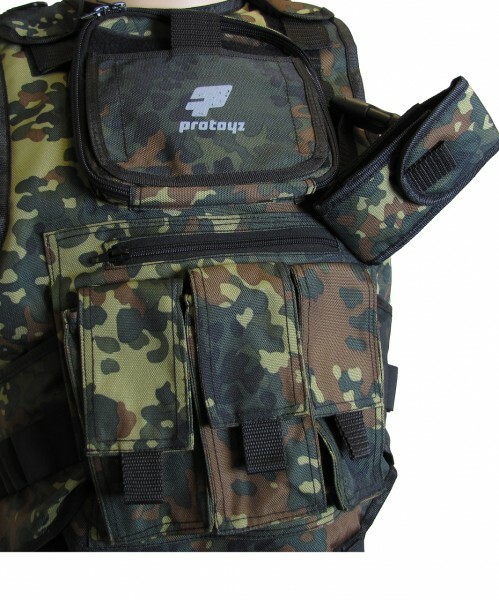 Extra-large storage space at the front for your player pass for example, all around plates for barrel maid, CO2 capsules, pods, HP or Co2 bottle (on the back) and a compartment for your radio make this vest an all-rounder for scenario / Woodland-Paintball. Various applications and small patch pockets make this vest to a storage-wonder. No matter how long the big game or scenario game may go, everything you need is with you. 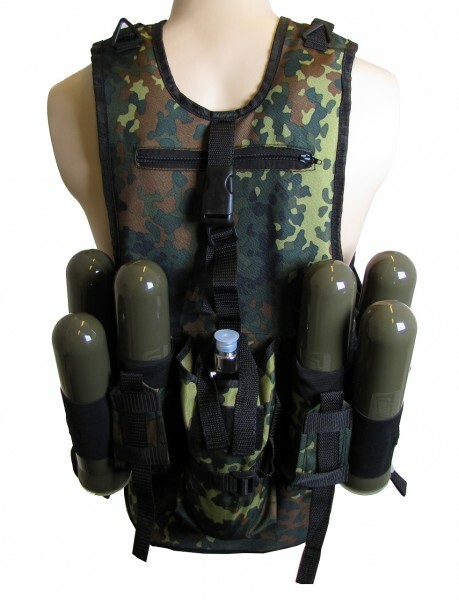 For the perfect fit, this vest can be adjusted; at the shoulders a several times in the length and at the waist strap in the width via Velcro.